�UK Users ONLY: Go fund me charge 5% Plus Stripe charges a fee of 1.4% + �0.20 for EEA issued cards and 2.9% + �0.20 for non-EEA issued cards. Read Stripe's Terms & Conditions. I wonder how Paypal's fees compare? Perhaps setting up a 'donate' button on the Charles Thompson website to which you could direct people would be a more economical way of raising funds, if the CT webmaster can do it. A lot of people are probably registered with Paypal. Last edited by Greenwood; 10th Feb 2016 9:14am. Don't worry about it Colin .Its not a problem if people are aware about it. 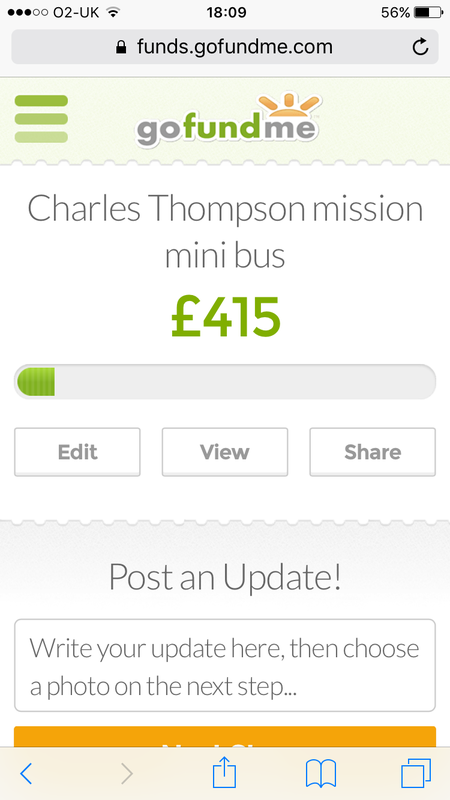 It is a convenient way to set it up with some clarity as the total amount raised is being displayed. I don't know about other charity giving websites what they charge. We all need to make a living. Thanks guys for the info and help appreciate it. I'll just continue with the go fund me site.